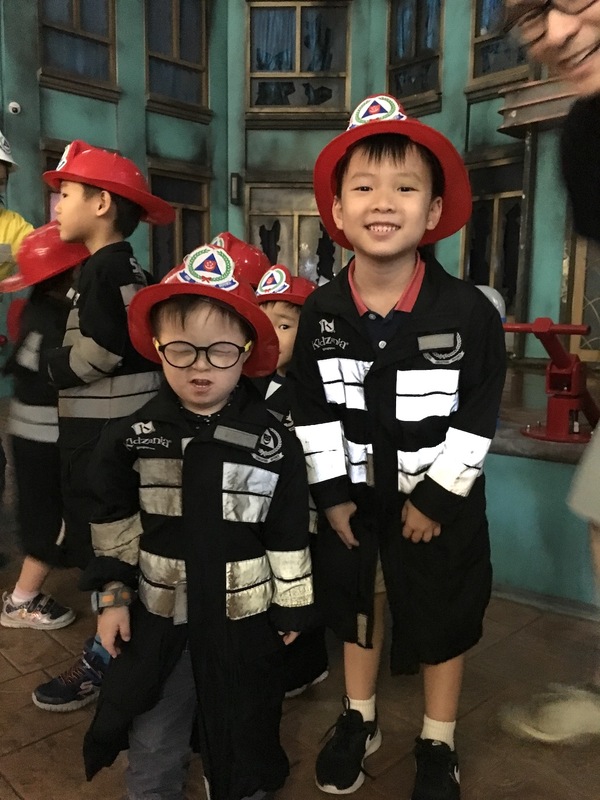 For architect and author Tham Cheng-E, putting his son Amos, who has Down syndrome, into a mainstream preschool, was the right choice. It sparked an inclusive movement that started from Amos’ classroom and spread to the whole school, teaching children, teachers, and parents the value of inclusive-nesss. Amos, our second son, has Down syndrome. When he turned four, we thought about enrolling him in his brother’s mainstream preschool. After all, Joel, his brother, had a wonderful preschool experience there. But would it accept Amos? Caring for children with special needs alongside their typically-developing peers poses behavioural and administrative challenges. Not all preschools would be willing to accept these. We also wondered about community acceptance. Would the parents of his peers object? But the preschool did not issue an outright rejection, and that was a heartening first step. We met with the vice-principal and the teachers. Amos perched on my lap, peering dubiously at them. He sat still as a rock, reticent, dispensing only the occasional smile. He did not speak a single word. Still, we had reservations. First of all, Amos had just started walking. He could suddenly refuse to walk, and cause the entire class to stall. In addition, he drooled heavily, and was long-sighted. 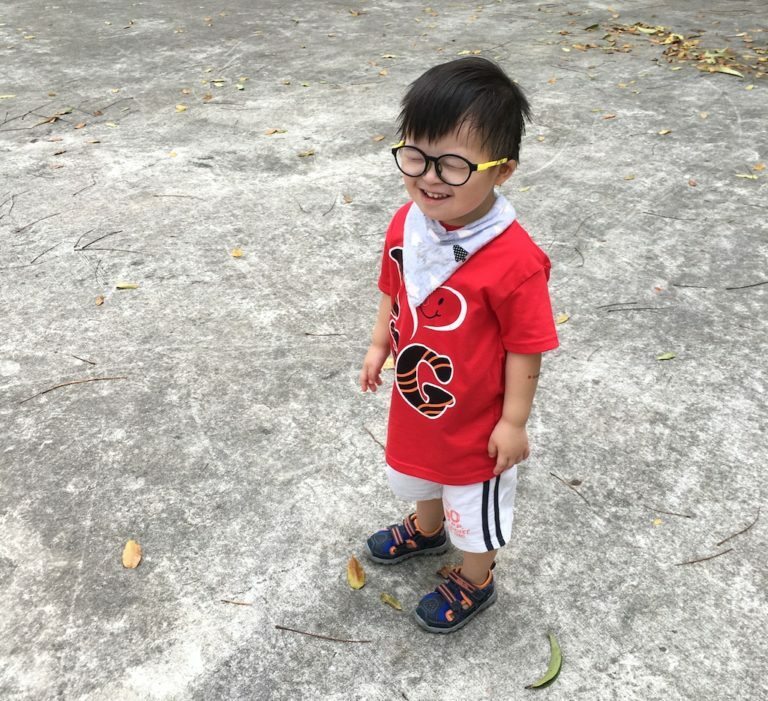 He would be the only pre-nursery kid wearing magnifying glasses and a funky bib. He could not chew properly because of his low muscle tone. Hence the teachers would have to mince up his food for him. In our minds we conjured a heartbreaking picture of Amos becoming an object of inconvenience, of ridicule. We prepared ourselves mentally for every possible consequence — that he would be bullied, labelled a distraction, that we would receive complaints from other parents or a call from the school demanding that we take him back. Amos is a small child. 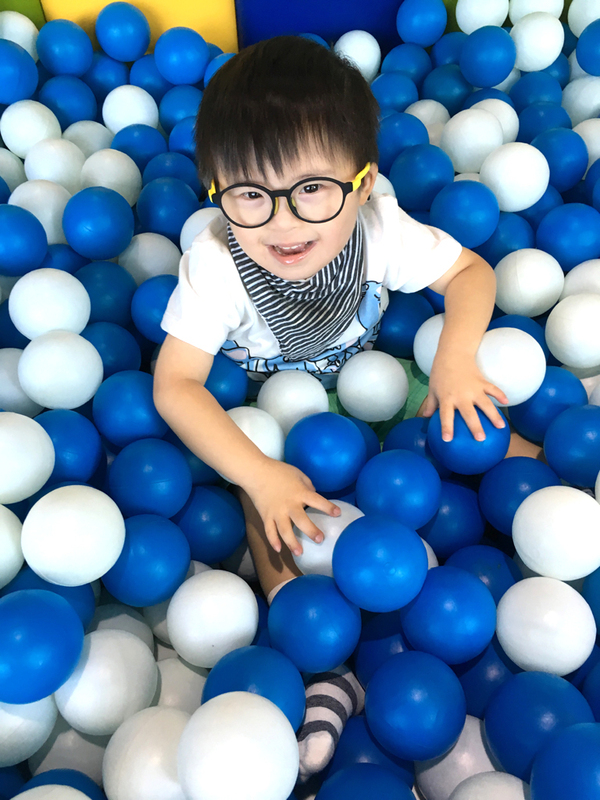 His height and weight are scarcely at the 10th percentile — not even of the regular growth charts — but the Down syndrome ones. His gait is tiny. Every day, the school bus ‘aunty’ patiently walks him all the way from the bus to his classroom. During field trips Amos shuns bumpy surfaces like gravel and grass, and demands to be carried. He strays from lines. He turns puckish and ignores instructions. I accompanied him on one trip and realised how hard it was for the teachers. Amos required constant attention. His teachers had to devise methods to seize his attention whenever he skipped off in the middle of activities. They had to exercise a tremendous amount of patience whenever he ignored their calls. It was easy to despair. But we knew how important it was to reaffirm our purpose in sending Amos to a mainstream preschool. It wasn’t as much about academic progress as it was about social exposure. We wanted him to mingle with regular kids and develop speech and interaction skills. Amos had to learn at his own pace, and in as stress-free an environment as possible. It did not matter if he did not keep up with the others or excel academically. We were prepared for significant delays in that area. But you know what? The shortcomings came with a silver lining. We saw how Amos would unfailingly greet everyone at school, including the kitchen ladies. The teachers loved him and his enormous, effusive smiles. We were heartened to learn about how well he responded when engaged, how he was able to feed himself with little mess, and role-play with his classmates in a makeshift kitchen. What gratified us most of all was the teachers’ accounts of how having Amos in class had subtly and positively influenced the behaviour of the children around him. They told us how classmates who were initially aloof or taciturn learnt to forge friendships and develop empathy as they assisted Amos at tasks. Children who were usually impulsive learnt to show down when they were reminded to look out for Amos during outdoor play. Little girls, natural nurturers all of them, instinctively showed care for Amos. One virtue they all learnt? To respect uniqueness because not everyone is created equal. And it all happened because Amos’ preschool and its teachers were willing to take a shot at embracing Amos’ uniqueness. 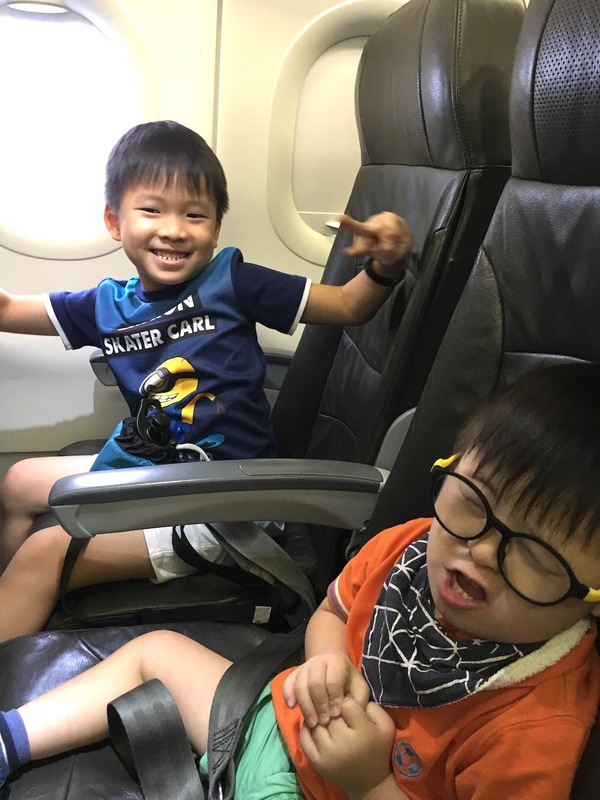 When the teachers shared this with the parents of Amos’ classmates, they too, were moved by the unexpected and intangible rewards a child with special needs could bring to their children. Such rewards are mutual. But they demand effort. Having Amos in class was almost like a social experiment for the school. The results remind us of the tremendous potential children possess in learning and applying virtues. More importantly, they remind us that the responsibility of developing this potential lies with us—school administrators, educators, and parents. We need to dispel our own prejudices to better foster an altruistic society and shape children’s characters. And who better to start than with our own? In a poll conducted by the Lien Foundation in 2016, only 10% of respondents were confident of interacting with special needs children. Just over 50% were comfortable with having a special needs child in their own child’s class. What this suggests is that about half of our society isn’t yet fully tolerant of people with special needs. We hear words like “inclusiveness” and “inclusion” but we cannot begin to define them because we aren’t sure if we need to be accepting or merely tolerant to qualify. One thing that we can be certain of, though, is that fostering a fully inclusive society requires a bold first step—to tackle tolerance at its source. Jamie Lerner, a former mayor of a model Brazilian city (Curitiba), says that if we were to change anything in this world, kids would probably be our best shot. And as Amos’ classmates in preschool have demonstrated, they are. Inculcating the right values that transcend differences — empathy, compassion, kindness, and ultimately acceptance — begins with children. Children need plenty of help with that. And the social environment of a preschool is an ideal setting. Children are curious creatures. 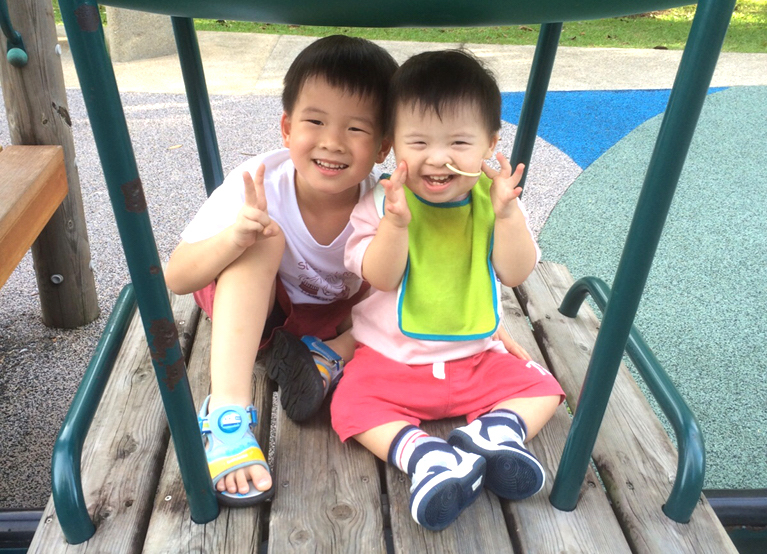 Don’t be hasty to reproach your child if he points at someone with Down syndrome. Gently lower his hand and tell him about Down syndrome. In a nutshell, children with Down syndrome learn and develop more slowly than their typically-developing peers. Unless you are speaking to a medical professional, there probably isn’t any need to expound any further than that. • Expose your children to people with special needs. 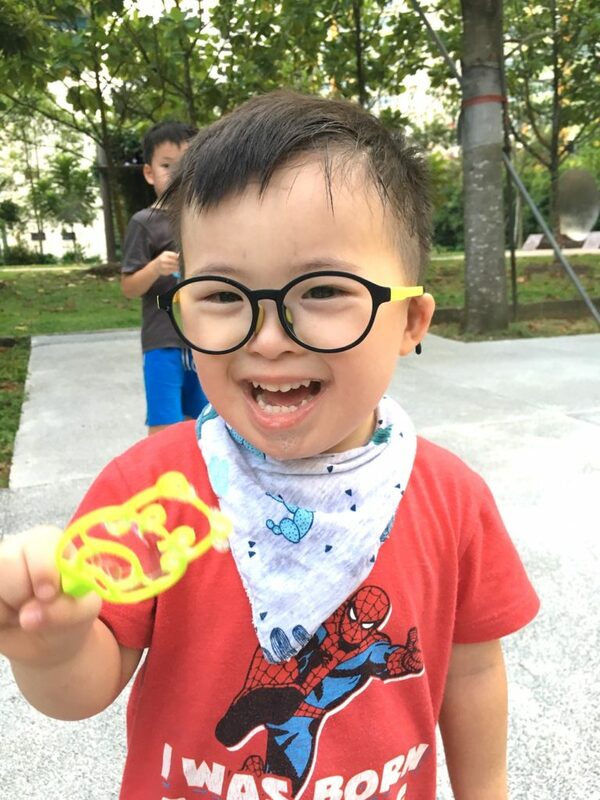 Bring them to the Purple Parade, to performances by the special needs associations, to the True Colours Festival (which runs from today to Sunday 25 March at the Sports Hub). Show your children how admirably these people perform despite their learning difficulties. Tell them how hard they work to overcome their struggles. • Encourage your child to befriend children with special needs. Like all children, they need acceptance, friendship and love. • Don’t be afraid to interact with parents of special needs children. We won’t bite. Like yourself, we strive only to give the best to our offspring. Talk to them to understand their joys and struggles. Ask them what encourages them and what upsets them. It may come as a surprise to you. • Finally, be a role model to your kids. Take the lead to say hello to children with special needs. Don’t feel awkward if you fail to elicit a response. Just smile, give them time and space to adapt and adjust. Perhaps you will find one warming up to you. Maybe he or she will tell you a story. Perhaps your children could end up being friends. Amos has recently turned five, and is as chubby and jolly as ever. His brother, Joel, is in Primary One. 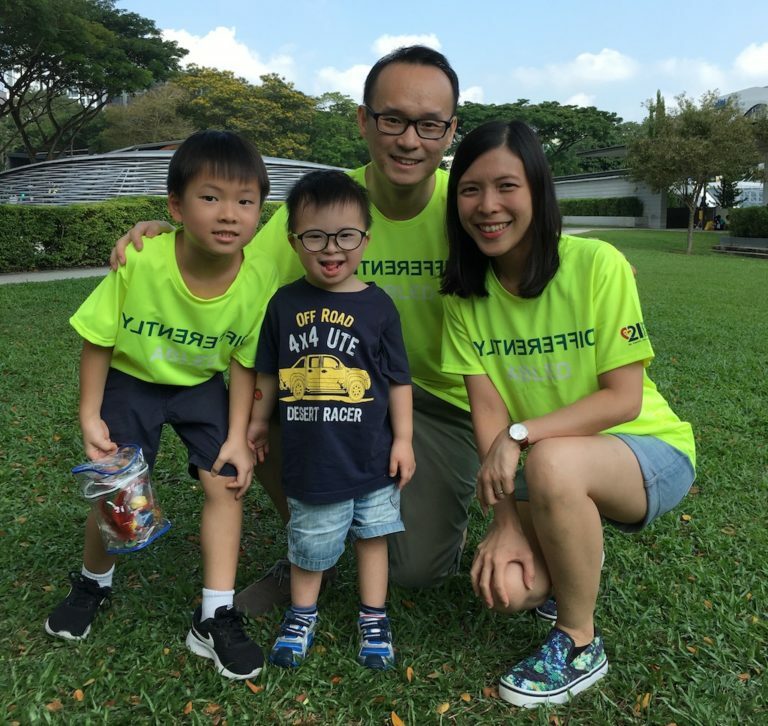 Their dad, Tham Cheng-E, is an architect by day and author by night. He manages the family blog Thumbprints and enjoys writing novels, and articles for the online magazine Special Seeds.